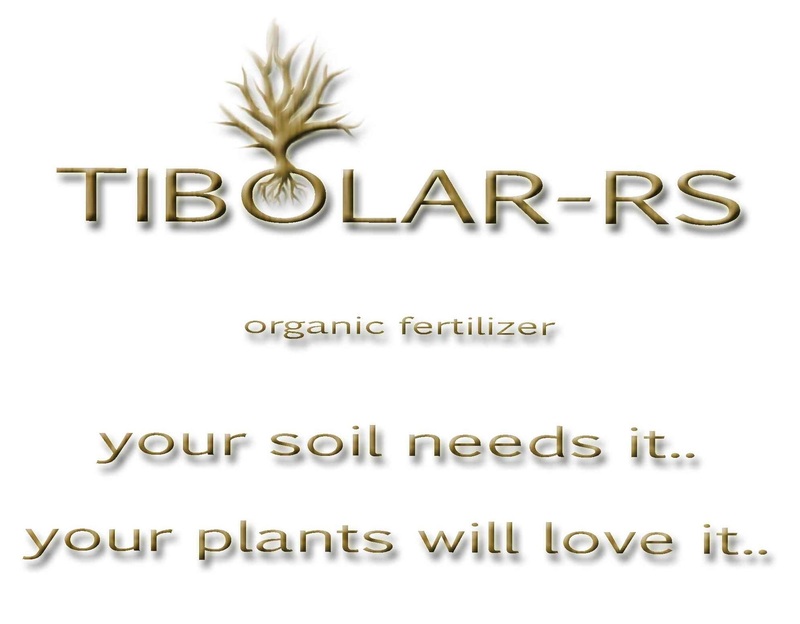 Not only just feeding the plant/tree and enriching the soil is what Tibolar-RS made for. 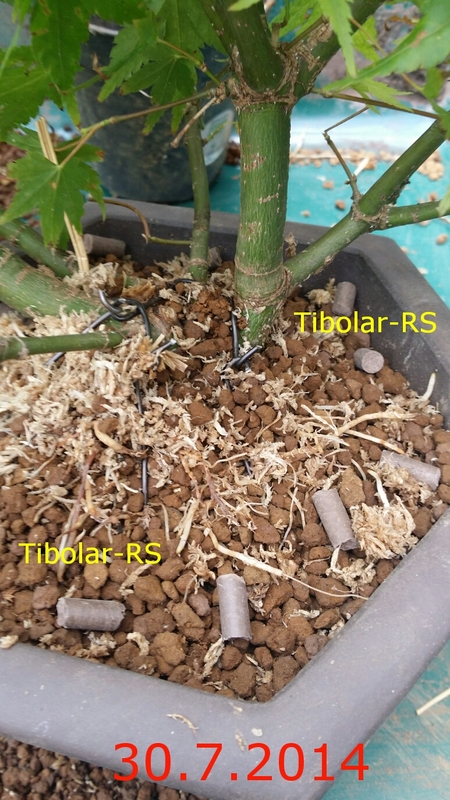 Also other applications were tested with Tibolar-RS. 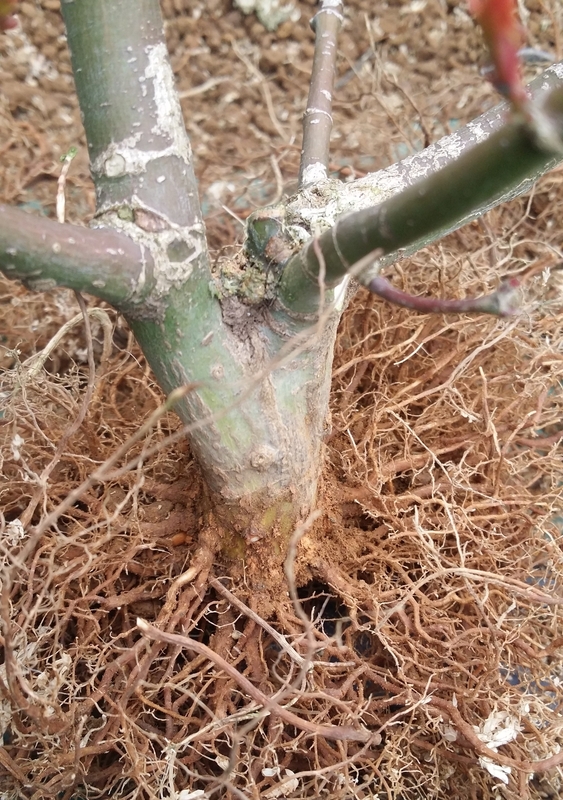 Air-layering, a technique that I used to try to produce bonsai. But almost all tryouts failed. 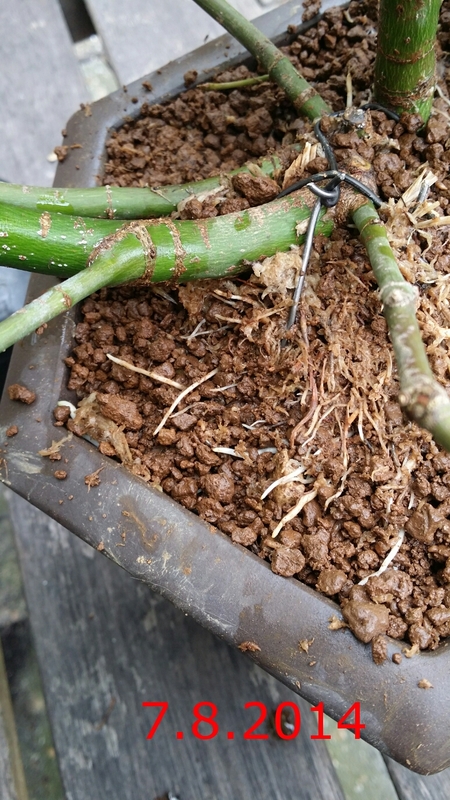 I used spaghnum moss, different rooting materials, but nothing realy worked out. 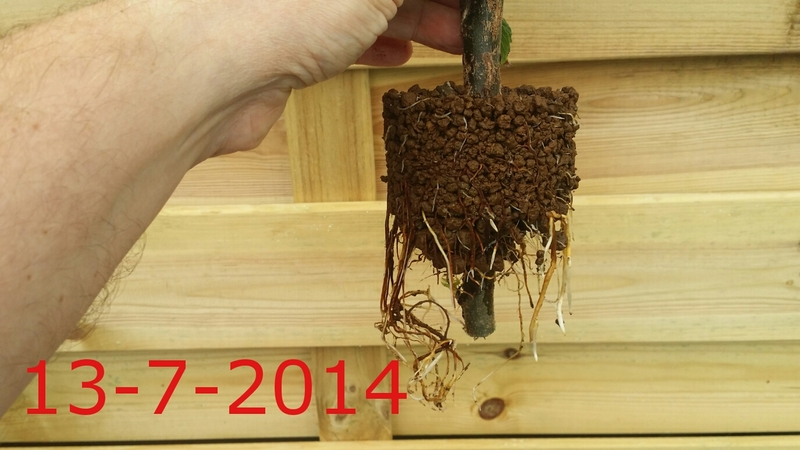 Or the tree died when I separated it from the mother tree in time, or the rooting didn’t do well. Enough said about failures. 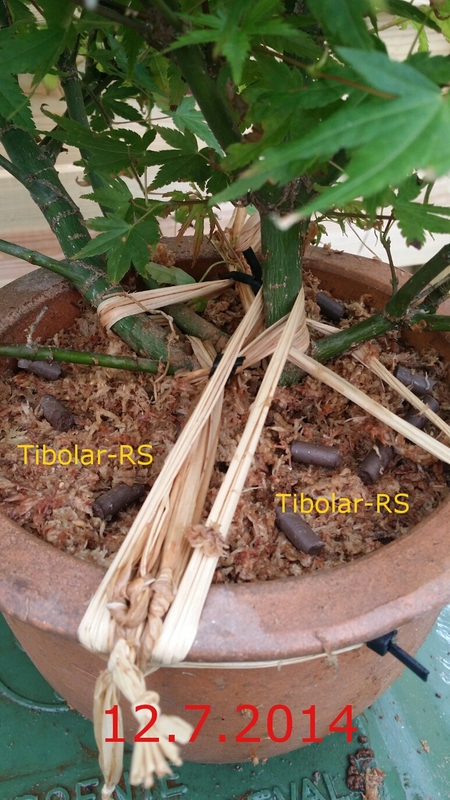 This year I tried Tibolar-RS on three airlayers. 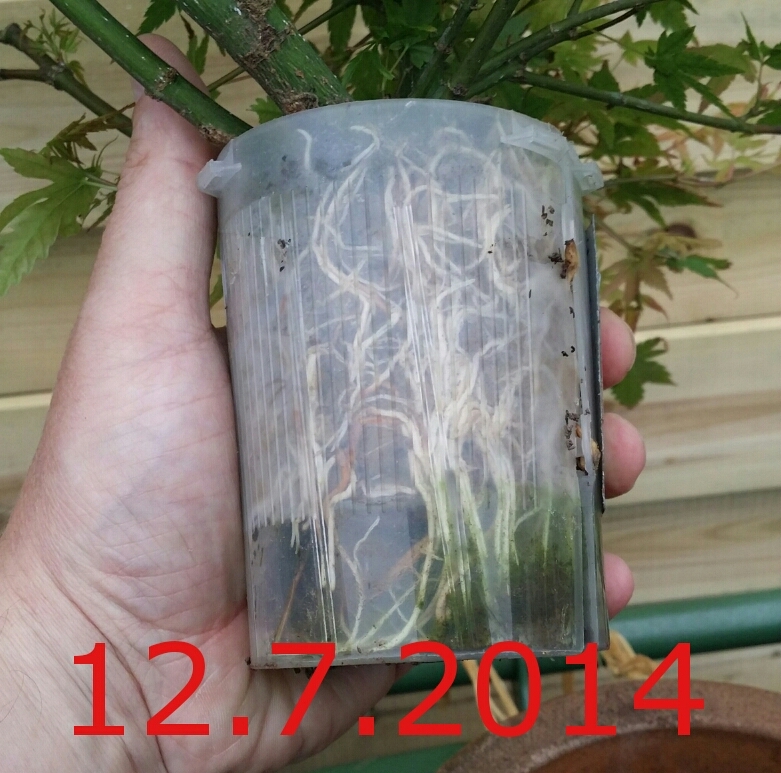 Two I used the rooter pot and another which I didn’t take pictures from, just a black plastic pot. 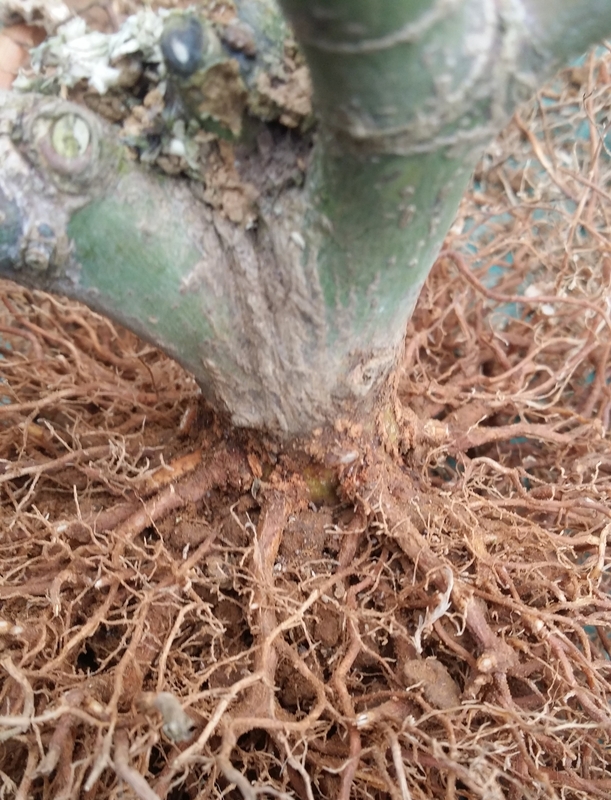 Zelkova Seratta air-layering in pure akadama. 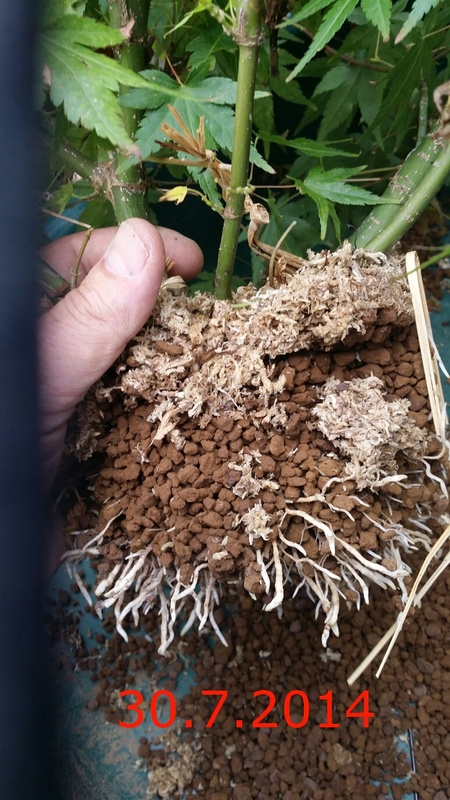 When I noticed the first few roots on the 13th of may I applied a few pellets of Tibolar-RS and after one month the rooter pot was totally filled with roots. 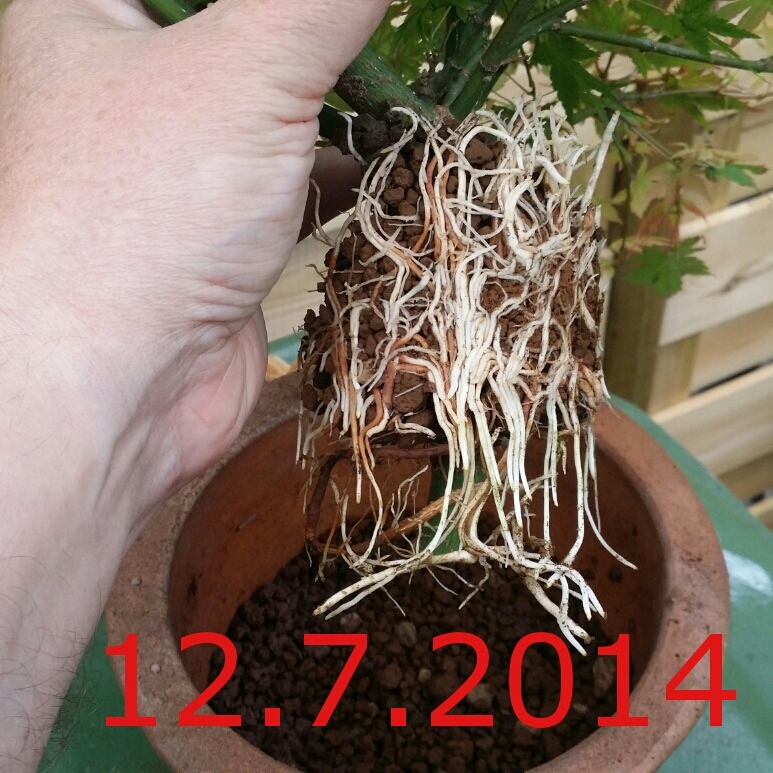 One year later…Vibrant radial roots. 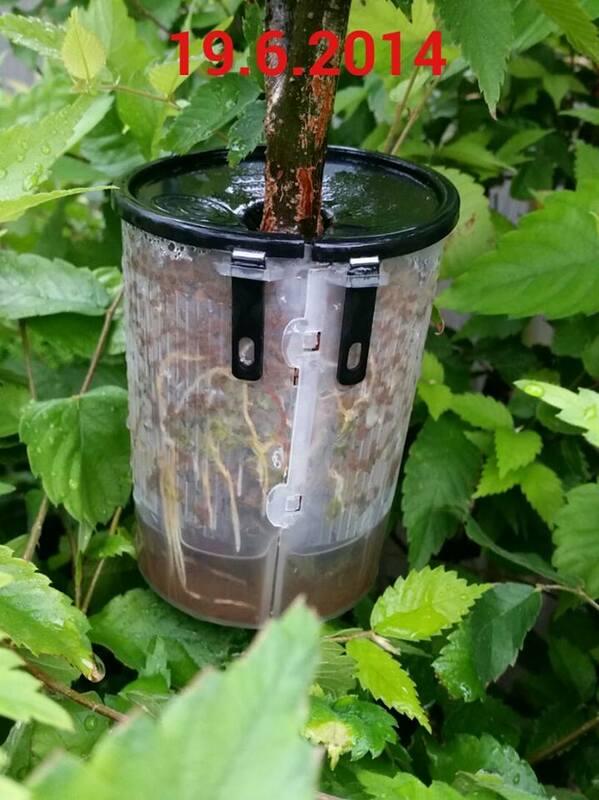 Another Zelkova air-layered. 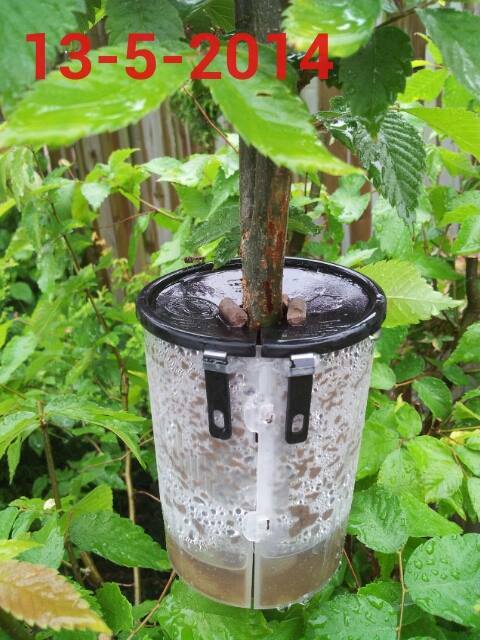 This Zelkova was airlayered Japanese style. 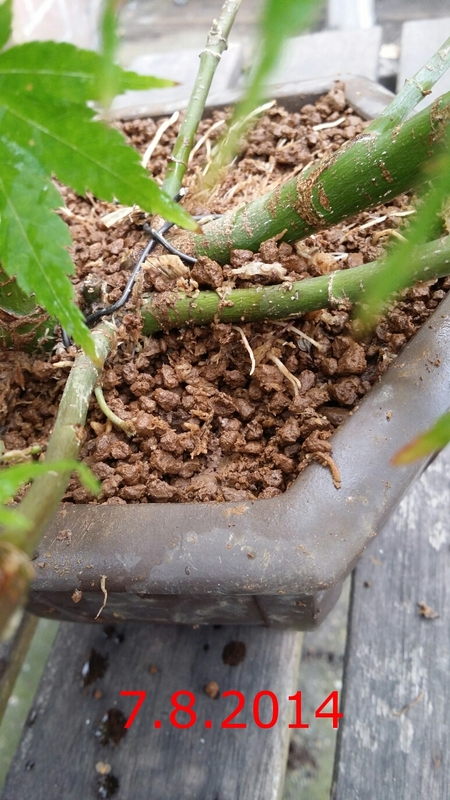 In the pot. 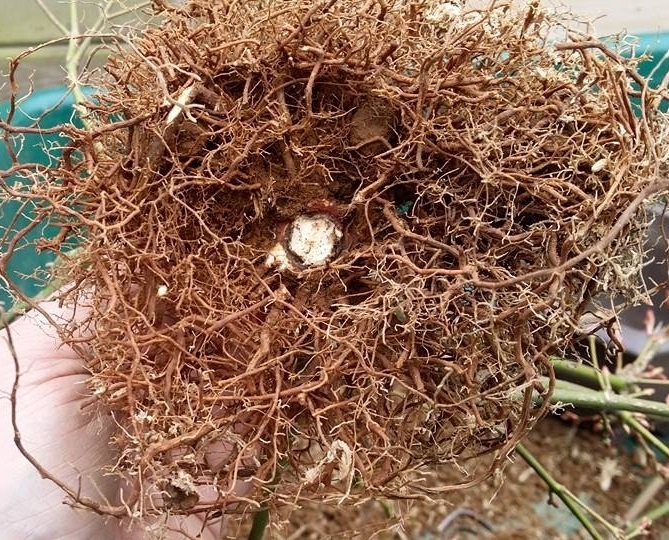 Some netting was made in a circle, filled with akadama and topped of with sphagnum moss. 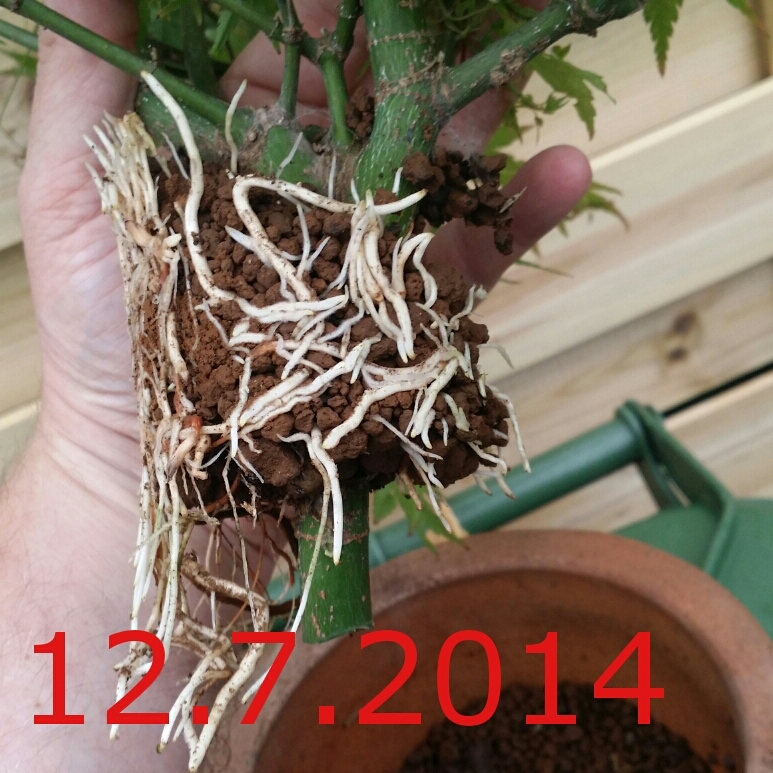 This is the result after one year. Also here I only used pure akadama. And Tibolar-RS NPK4-6-2. 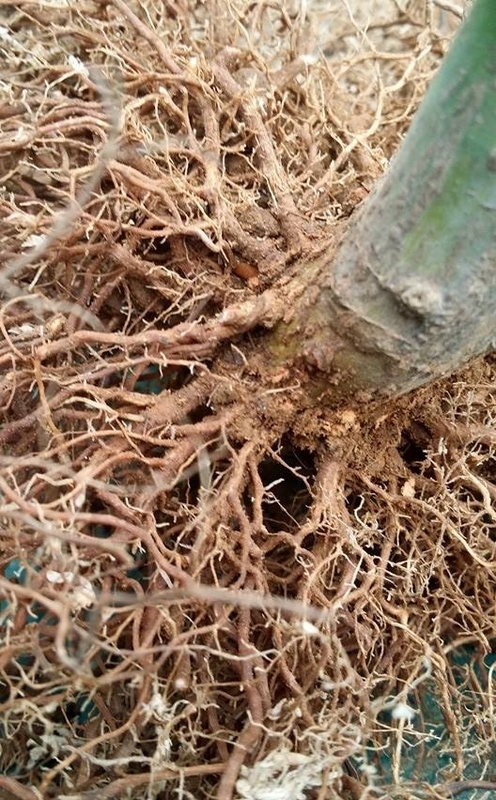 Roots are this vibrant that they start growing out off the soil. 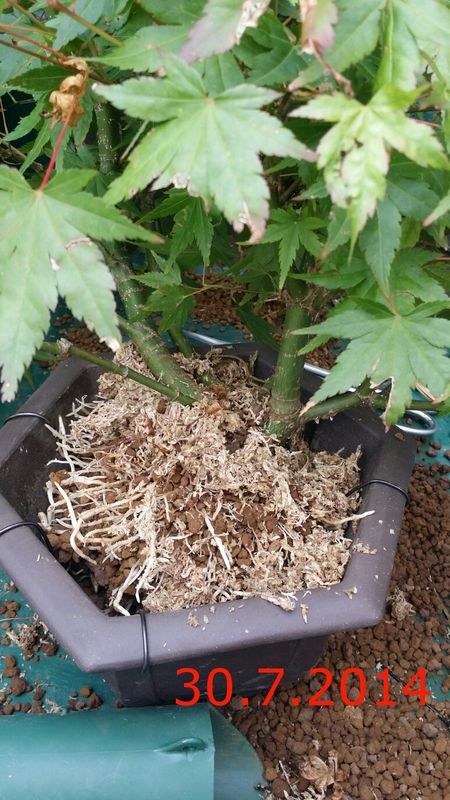 Air layered Japanese maple taken out of pot, roots trimmed. 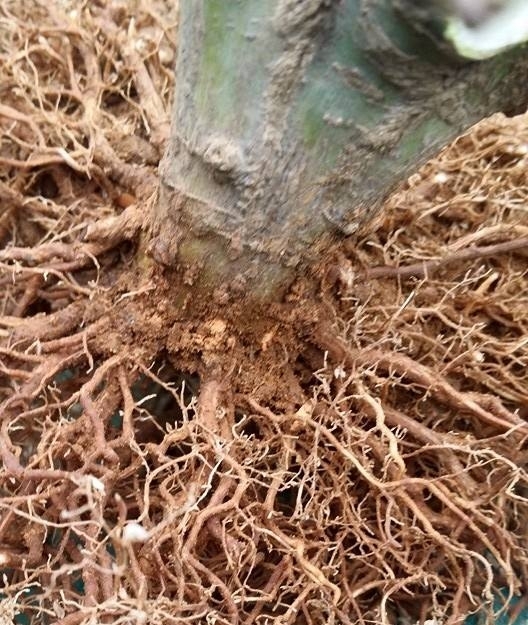 A layer of callus has grown over the place where the tree was separated from the mothertree. 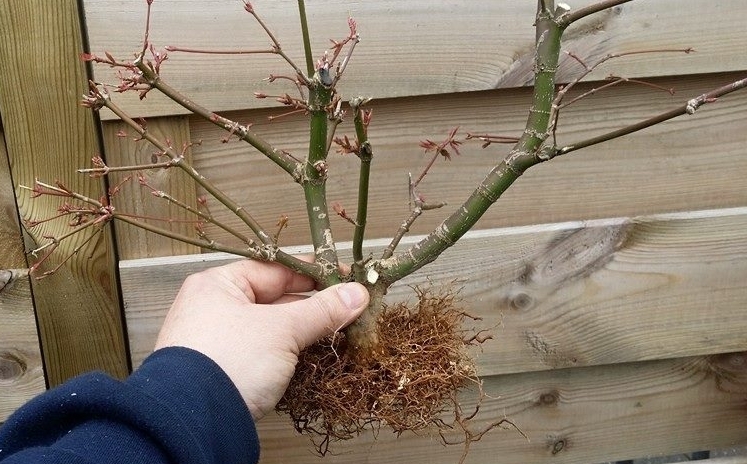 Ideal radial nebari roots are created, size ranges from 2 till 4 mm wide. 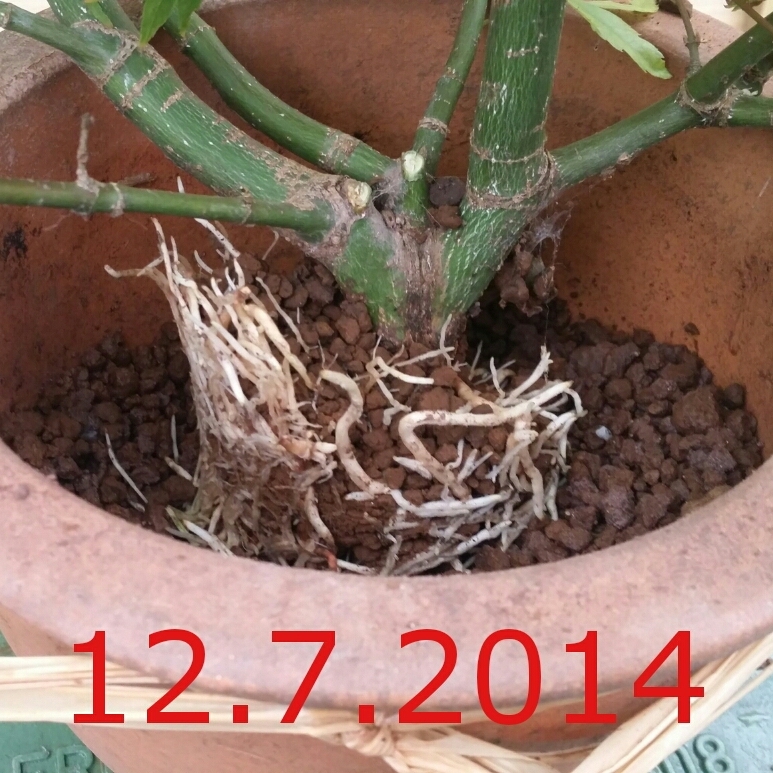 Tree is potted again. On Tibolar-RS NPK4-6-2. 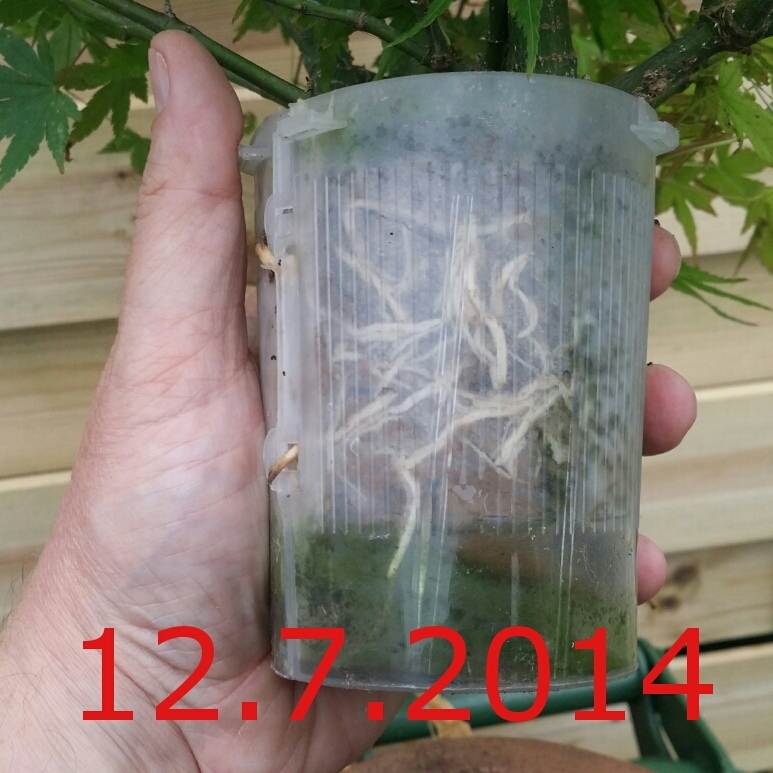 Now in a flatter container so that the roots can start growing horizontally.